1Mac 6:2 And that there was in it a very rich temple, wherein were coverings of gold, and breastplates, and shields, which Alexander, son of Philip, the Macedonian king, who reigned first among the Grecians, had left there. 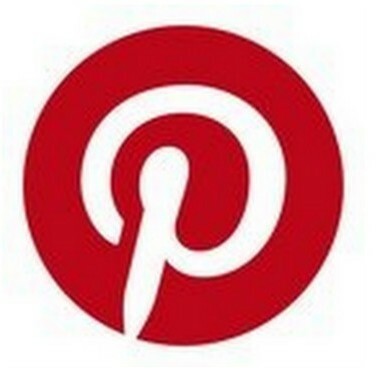 1Mac 6:4 Rose up against him in battle: so he fled, and departed thence with great heaviness, and returned to Babylon. 1Mac 6:7 Also that they had pulled down the abomination, which he had set up upon the altar in Jerusalem, and that they had compassed about the sanctuary with high walls, as before, and his city Bethsura. 1Mac 6:8 Now when the king heard these words, he was astonished and sore moved: whereupon he laid him down upon his bed, and fell sick for grief, because it had not befallen him as he looked for. 1Mac 6:9 And there he continued many days: for his grief was ever more and more, and he made account that he should die. 1Mac 6:10 Wherefore he called for all his friends, and said unto them, The sleep is gone from mine eyes, and my heart faileth for very care. 1Mac 6:11 And I thought with myself, Into what tribulation am I come, and how great a flood of misery is it, wherein now I am! for I was bountiful and beloved in my power. 1Mac 6:12 But now I remember the evils that I did at Jerusalem, and that I took all the vessels of gold and silver that were therein, and sent to destroy the inhabitants of Judea without a cause. 1Mac 6:13 I perceive therefore that for this cause these troubles are come upon me, and, behold, I perish through great grief in a strange land. 1Mac 6:15 And gave him the crown, and his robe, and his signet, to the end he should bring up his son Antiochus, and nourish him up for the kingdom. 1Mac 6:16 So king Antiochus died there in the hundred forty and ninth year. 1Mac 6:17 Now when Lysias knew that the king was dead, he set up Antiochus his son, whom he had brought up being young, to reign in his stead, and his name he called Eupator. 1Mac 6:18 About this time they that were in the tower shut up the Israelites round about the sanctuary, and sought always their hurt, and the strengthening of the heathen. 1Mac 6:19 Wherefore Judas, purposing to destroy them, called all the people together to besiege them. 1Mac 6:20 So they came together, and besieged them in the hundred and fiftieth year, and he made mounts for shot against them, and other engines. 1Mac 6:22 And they went unto the king, and said, How long will it be ere thou execute judgment, and avenge our brethren? 1Mac 6:24 For which cause they of our nation besiege the tower, and are alienated from us: moreover as many of us as they could light on they slew, and spoiled our inheritance. 1Mac 6:25 Neither have they stretched out their hand against us only, but also against their borders. 1Mac 6:26 And, behold, this day are they besieging the tower at Jerusalem, to take it: the sanctuary also and Bethsura have they fortified. 1Mac 6:27 Wherefore if thou dost not prevent them quickly, they will do the greater things than these, neither shalt thou be able to rule them. 1Mac 6:28 Now when the king heard this, he was angry, and gathered together all his friends, and the captains of his army, and those that had charge of the horse. 1Mac 6:29 There came also unto him from other kingdoms, and from isles of the sea, bands of hired soldiers. 1Mac 6:30 So that the number of his army was an hundred thousand footmen, and twenty thousand horsemen, and two and thirty elephants exercised in battle. 1Mac 6:31 These went through Idumea, and pitched against Bethsura, which they assaulted many days, making engines of war; but they of Bethsura came out, and burned them with fire, and fought valiantly. 1Mac 6:32 Upon this Judas removed from the tower, and pitched in Bathzacharias, over against the king's camp. 1Mac 6:33 Then the king rising very early marched fiercely with his host toward Bathzacharias, where his armies made them ready to battle, and sounded the trumpets. 1Mac 6:34 And to the end they might provoke the elephants to fight, they shewed them the blood of grapes and mulberries. 1Mac 6:35 Moreover they divided the beasts among the armies, and for every elephant they appointed a thousand men, armed with coats of mail, and with helmets of brass on their heads; and beside this, for every beast were ordained five hundred horsemen of the best. 1Mac 6:36 These were ready at every occasion: wheresoever the beast was, and whithersoever the beast went, they went also, neither departed they from him. 1Mac 6:37 And upon the beasts were there strong towers of wood, which covered every one of them, and were girt fast unto them with devices: there were also upon every one two and thirty strong men, that fought upon them, beside the Indian that ruled him. 1Mac 6:38 As for the remnant of the horsemen, they set them on this side and that side at the two parts of the host giving them signs what to do, and being harnessed all over amidst the ranks. 1Mac 6:39 Now when the sun shone upon the shields of gold and brass, the mountains glistered therewith, and shined like lamps of fire. 1Mac 6:40 So part of the king's army being spread upon the high mountains, and part on the valleys below, they marched on safely and in order. 1Mac 6:41 Wherefore all that heard the noise of their multitude, and the marching of the company, and the rattling of the harness, were moved: for the army was very great and mighty. 1Mac 6:42 Then Judas and his host drew near, and entered into battle, and there were slain of the king's army six hundred men. 1Mac 6:45 Wherefore he ran upon him courageously through the midst of the battle, slaying on the right hand and on the left, so that they were divided from him on both sides. 1Mac 6:46 Which done, he crept under the elephant, and thrust him under, and slew him: whereupon the elephant fell down upon him, and there he died. 1Mac 6:47 Howbeit the rest of the Jews seeing the strength of the king, and the violence of his forces, turned away from them. 1Mac 6:48 Then the king's army went up to Jerusalem to meet them, and the king pitched his tents against Judea, and against mount Sion. 1Mac 6:49 But with them that were in Bethsura he made peace: for they came out of the city, because they had no victuals there to endure the siege, it being a year of rest to the land. 1Mac 6:50 So the king took Bethsura, and set a garrison there to keep it. 1Mac 6:51 As for the sanctuary, he besieged it many days: and set there artillery with engines and instruments to cast fire and stones, and pieces to cast darts and slings. 1Mac 6:52 Whereupon they also made engines against their engines, and held them battle a long season. 1Mac 6:54 There were but a few left in the sanctuary, because the famine did so prevail against them, that they were fain to disperse themselves, every man to his own place. 1Mac 6:56 Was returned out of Persia and Media, and the king's host also that went with him, and that he sought to take unto him the ruling of the affairs. 1Mac 6:59 And covenant with them, that they shall live after their laws, as they did before: for they are therefore displeased, and have done all these things, because we abolished their laws. 1Mac 6:60 So the king and the princes were content: wherefore he sent unto them to make peace; and they accepted thereof. 1Mac 6:61 Also the king and the princes made an oath unto them: whereupon they went out of the strong hold. 1Mac 6:62 Then the king entered into mount Sion; but when he saw the strength of the place, he broke his oath that he had made, and gave commandment to pull down the wall round about. 1Mac 6:63 Afterward departed he in all haste, and returned unto Antiochia, where he found Philip to be master of the city: so he fought against him, and took the city by force. 1Mac 7:1 In the hundred and one and fiftieth year Demetrius the son of Seleucus departed from Rome, and came up with a few men unto a city of the sea coast, and reigned there. 1Mac 7:2 And as he entered into the palace of his ancestors, so it was, that his forces had taken Antiochus and Lysias, to bring them unto him. 1Mac 7:3 Wherefore, when he knew it, he said, Let me not see their faces. 1Mac 7:6 And they accused the people to the king, saying, Judas and his brethren have slain all thy friends, and driven us out of our own land. 1Mac 7:7 Now therefore send some man whom thou trustest, and let him go and see what havock he hath made among us, and in the king's land, and let him punish them with all them that aid them. 1Mac 7:9 And him he sent with that wicked Alcimus, whom he made high priest, and commanded that he should take vengeance of the children of Israel. 1Mac 7:10 So they departed, and came with a great power into the land of Judea, where they sent messengers to Judas and his brethren with peaceable words deceitfully. 1Mac 7:11 But they gave no heed to their words; for they saw that they were come with a great power. 1Mac 7:12 Then did there assemble unto Alcimus and Bacchides a company of scribes, to require justice. 1Mac 7:14 For said they, One that is a priest of the seed of Aaron is come with this army, and he will do us no wrong. 1Mac 7:15 So he spake unto them, peaceably, and sware unto them, saying, we will procure the harm neither of you nor your friends. 1Mac 7:17 The flesh of thy saints have they cast out, and their blood have they shed round about Jerusalem, and there was none to bury them. 1Mac 7:18 Wherefore the fear and dread of them fell upon all the people, who said, There is neither truth nor righteousness in them; for they have broken the covenant and oath that they made. 1Mac 7:19 After this, removed Bacchides from Jerusalem, and pitched his tents in Bezeth, where he sent and took many of the men that had forsaken him, and certain of the people also, and when he had slain them, he cast them into the great pit. 1Mac 7:20 Then committed he the country to Alcimus, and left with him a power to aid him: so Bacchides went to the king. 1Mac 7:21 But Alcimus contended for the high priesthood. 1Mac 7:22 And unto him resorted all such as troubled the people, who, after they had gotten the land of Juda into their power, did much hurt in Israel. 1Mac 7:24 He went out into all the coasts of Judea round about, and took vengeance of them that had revolted from him, so that they durst no more go forth into the country. 1Mac 7:25 On the other side, when Alcimus saw that Judas and his company had gotten the upper hand, and knew that he was not able to abide their force, he went again to the king, and said all the worst of them that he could. 1Mac 7:26 Then the king sent Nicanor, one of his honourable princes, a man that bare deadly hate unto Israel, with commandment to destroy the people. 1Mac 7:28 Let there be no battle between me and you; I will come with a few men, that I may see you in peace. 1Mac 7:29 He came therefore to Judas, and they saluted one another peaceably. Howbeit the enemies were prepared to take away Judas by violence. 1Mac 7:30 Which thing after it was known to Judas, to wit, that he came unto him with deceit, he was sore afraid of him, and would see his face no more. 1Mac 7:32 Where there were slain of Nicanor's side about five thousand men, and the rest fled into the city of David. 1Mac 7:33 After this went Nicanor up to mount Sion, and there came out of the sanctuary certain of the priests and certain of the elders of the people, to salute him peaceably, and to shew him the burnt sacrifice that was offered for the king. 1Mac 7:35 And sware in his wrath, saying, Unless Judas and his host be now delivered into my hands, if ever I come again in safety, I will burn up this house: and with that he went out in a great rage. 1Mac 7:38 Be avenged of this man and his host, and let them fall by the sword: remember their blasphemies, and suffer them not to continue any longer. 1Mac 7:39 So Nicanor went out of Jerusalem, and pitched his tents in Bethhoron, where an host out of Syria met him. 1Mac 7:41 O Lord, when they that were sent from the king of the Assyrians blasphemed, thine angel went out, and smote an hundred fourscore and five thousand of them. 1Mac 7:42 Even so destroy thou this host before us this day, that the rest may know that he hath spoken blasphemously against thy sanctuary, and judge thou him according to his wickedness. 1Mac 7:43 So the thirteenth day of the month Adar the hosts joined battle: but Nicanor's host was discomfited, and he himself was first slain in the battle. 1Mac 7:44 Now when Nicanor's host saw that he was slain, they cast away their weapons, and fled. 1Mac 7:45 Then they pursued after them a day's journey, from Adasa unto Gazera, sounding an alarm after them with their trumpets. 1Mac 7:46 Whereupon they came forth out of all the towns of Judea round about, and closed them in; so that they, turning back upon them that pursued them, were all slain with the sword, and not one of them was left. 1Mac 7:47 Afterwards they took the spoils, and the prey, and smote off Nicanors head, and his right hand, which he stretched out so proudly, and brought them away, and hanged them up toward Jerusalem. 1Mac 7:48 For this cause the people rejoiced greatly, and they kept that day a day of great gladness. 1Mac 7:49 Moreover they ordained to keep yearly this day, being the thirteenth of Adar. 1Mac 7:50 Thus the land of Juda was in rest a little while. 1Mac 8:16 And that they committed their government to one man every year, who ruled over all their country, and that all were obedient to that one, and that there was neither envy nor emmulation among them. 1Mac 8:18 And to intreat them that they would take the yoke from them; for they saw that the kingdom of the Grecians did oppress Israel with servitude. 1Mac 8:19 They went therefore to Rome, which was a very great journey, and came into the senate, where they spake and said. 1Mac 8:20 Judas Maccabeus with his brethren, and the people of the Jews, have sent us unto you, to make a confederacy and peace with you, and that we might be registered your confederates and friends. 1Mac 8:21 So that matter pleased the Romans well. 1Mac 8:26 Neither shall they give any thing unto them that make war upon them, or aid them with victuals, weapons, money, or ships, as it hath seemed good unto the Romans; but they shall keep their covenants without taking any thing therefore. 1Mac 8:28 Neither shall victuals be given to them that take part against them, or weapons, or money, or ships, as it hath seemed good to the Romans; but they shall keep their covenants, and that without deceit. 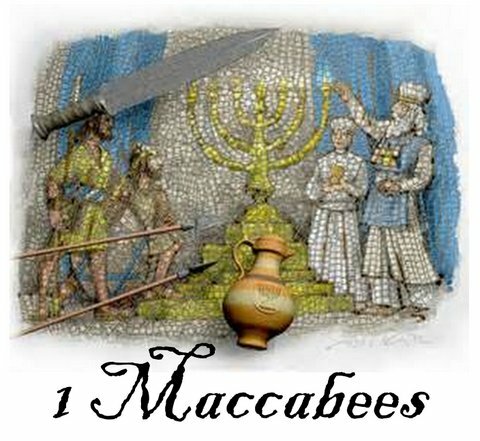 1Mac 8:29 According to these articles did the Romans make a covenant with the people of the Jews. 1Mac 8:30 Howbeit if hereafter the one party or the other shall think to meet to add or diminish any thing, they may do it at their pleasures, and whatsoever they shall add or take away shall be ratified. 1Mac 8:31 And as touching the evils that Demetrius doeth to the Jews, we have written unto him, saying, Wherefore thou made thy yoke heavy upon our friends and confederates the Jews? 1Mac 8:32 If therefore they complain any more against thee, we will do them justice, and fight with thee by sea and by land. 1Mac 9:2 Who went forth by the way that leadeth to Galgala, and pitched their tents before Masaloth, which is in Arbela, and after they had won it, they slew much people. 1Mac 9:4 From whence they removed, and went to Berea, with twenty thousand footmen and two thousand horsemen. 1Mac 9:6 Who seeing the multitude of the other army to he so great were sore afraid; whereupon many conveyed themselves out of the host, insomuch as abode of them no more but eight hundred men. 1Mac 9:7 When Judas therefore saw that his host slipt away, and that the battle pressed upon him, he was sore troubled in mind, and much distressed, for that he had no time to gather them together. 1Mac 9:8 Nevertheless unto them that remained he said, Let us arise and go up against our enemies, if peradventure we may be able to fight with them. 1Mac 9:9 But they dehorted him, saying, We shall never be able: let us now rather save our lives, and hereafter we will return with our brethren, and fight against them: for we are but few. 1Mac 9:10 Then Judas said, God forbid that I should do this thing, and flee away from them: if our time be come, let us die manfully for our brethren, and let us not stain our honour. 1Mac 9:11 With that the host of Bacchides removed out of their tents, and stood over against them, their horsemen being divided into two troops, and their slingers and archers going before the host and they that marched in the foreward were all mighty men. 1Mac 9:12 As for Bacchides, he was in the right wing: so the host drew near on the two parts, and sounded their trumpets. 1Mac 9:13 They also of Judas' side, even they sounded their trumpets also, so that the earth shook at the noise of the armies, and the battle continued from morning till night. 1Mac 9:15 Who discomfited the right wing, and pursued them unto the mount Azotus. 1Mac 9:17 Whereupon there was a sore battle, insomuch as many were slain on both parts. 1Mac 9:18 Judas also was killed, and the remnant fled. 1Mac 9:19 THen Jonathan and Simon took Judas their brother, and buried him in the sepulchre of his fathers in Modin. 1Mac 9:21 How is the valiant man fallen, that delivered Israel! 1Mac 9:22 As for the other things concerning Judas and his wars, and the noble acts which he did, and his greatness, they are not written: for they were very many. 1Mac 9:23 Now after the death of Judas the wicked began to put forth their heads in all the coasts of Israel, and there arose up all such as wrought iniquity. 1Mac 9:24 In those days also was there a very great famine, by reason whereof the country revolted, and went with them. 1Mac 9:25 Then Bacchides chose the wicked men, and made them lords of the country. 1Mac 9:26 And they made enquiry and search for Judas' friends, and brought them unto Bacchides, who took vengeance of them, and used them despitefully. 1Mac 9:27 So was there a great affliction in Israel, the like whereof was not since the time that a prophet was not seen among them. 1Mac 9:29 Since thy brother Judas died, we have no man like him to go forth against our enemies, and Bacchides, and against them of our nation that are adversaries to us. 1Mac 9:30 Now therefore we have chosen thee this day to be our prince and captain in his stead, that thou mayest fight our battles. 1Mac 9:31 Upon this Jonathan took the governance upon him at that time, and rose up instead of his brother Judas. 1Mac 9:33 Then Jonathan, and Simon his brother, and all that were with him, perceiving that, fled into the wilderness of Thecoe, and pitched their tents by the water of the pool Asphar. 1Mac 9:34 Which when Bacchides understood, he came near to Jordan with all his host upon the sabbath day. 1Mac 9:35 Now Jonathan had sent his brother John, a captain of the people, to pray his friends the Nabathites, that they might leave with them their carriage, which was much. 1Mac 9:36 But the children of Jambri came out of Medaba, and took John, and all that he had, and went their way with it. 1Mac 9:37 After this came word to Jonathan and Simon his brother, that the children of Jambri made a great marriage, and were bringing the bride from Nadabatha with a great train, as being the daughter of one of the great princes of Chanaan. 1Mac 9:39 Where they lifted up their eyes, and looked, and, behold, there was much ado and great carriage: and the bridegroom came forth, and his friends and brethren, to meet them with drums, and instruments of musick, and many weapons. 1Mac 9:40 Then Jonathan and they that were with him rose up against them from the place where they lay in ambush, and made a slaughter of them in such sort, as many fell down dead, and the remnant fled into the mountain, and they took all their spoils. 1Mac 9:41 Thus was the marriage turned into mourning, and the noise of their melody into lamentation. 1Mac 9:42 So when they had avenged fully the blood of their brother, they turned again to the marsh of Jordan. 1Mac 9:43 Now when Bacchides heard hereof, he came on the sabbath day unto the banks of Jordan with a great power. 1Mac 9:45 For, behold, the battle is before us and behind us, and the water of Jordan on this side and that side, the marsh likewise and wood, neither is there place for us to turn aside. 1Mac 9:46 Wherefore cry ye now unto heaven, that ye may be delivered from the hand of your enemies. 1Mac 9:47 With that they joined battle, and Jonathan stretched forth his hand to smite Bacchides, but he turned back from him. 1Mac 9:48 Then Jonathan and they that were with him leapt into Jordan, and swam over unto the other bank: howbeit the other passed not over Jordan unto them. 1Mac 9:49 So there were slain of Bacchides' side that day about a thousand men. 1Mac 9:50 Afterward returned Bacchides to Jerusalem and repaired the strong cites in Judea; the fort in Jericho, and Emmaus, and Bethhoron, and Bethel, and Thamnatha, Pharathoni, and Taphon, these did he strengthen with high walls, with gates and with bars. 1Mac 9:51 And in them he set a garrison, that they might work malice upon Israel. 1Mac 9:52 He fortified also the city Bethsura, and Gazera, and the tower, and put forces in them, and provision of victuals. 1Mac 9:53 Besides, he took the chief men's sons in the country for hostages, and put them into the tower at Jerusalem to be kept. 1Mac 9:55 And as he began to pull down, even at that time was Alcimus plagued, and his enterprizes hindered: for his mouth was stopped, and he was taken with a palsy, so that he could no more speak any thing, nor give order concerning his house. 1Mac 9:56 So Alcimus died at that time with great torment. 1Mac 9:57 Now when Bacchides saw that Alcimus was dead, he returned to the king: whereupon the land of Judea was in rest two years. 1Mac 9:58 Then all the ungodly men held a council, saying, Behold, Jonathan and his company are at ease, and dwell without care: now therefore we will bring Bacchides hither, who shall take them all in one night. 1Mac 9:59 So they went and consulted with him. 1Mac 9:60 Then removed he, and came with a great host, and sent letters privily to his adherents in Judea, that they should take Jonathan and those that were with him: howbeit they could not, because their counsel was known unto them. 1Mac 9:61 Wherefore they took of the men of the country, that were authors of that mischief, about fifty persons, and slew them. 1Mac 9:62 Afterward Jonathan, and Simon, and they that were with him, got them away to Bethbasi, which is in the wilderness, and they repaired the decays thereof, and made it strong. 1Mac 9:63 Which thing when Bacchides knew, he gathered together all his host, and sent word to them that were of Judea. 1Mac 9:64 Then went he and laid siege against Bethbasi; and they fought against it a long season and made engines of war. 1Mac 9:65 But Jonathan left his brother Simon in the city, and went forth himself into the country, and with a certain number went he forth. 1Mac 9:66 And he smote Odonarkes and his brethren, and the children of Phasiron in their tent. 1Mac 9:68 And fought against Bacchides, who was discomfited by them, and they afflicted him sore: for his counsel and travail was in vain. 1Mac 9:69 Wherefore he was very wroth at the wicked men that gave him counsel to come into the country, inasmuch as he slew many of them, and purposed to return into his own country. 1Mac 9:70 Whereof when Jonathan had knowledge, he sent ambassadors unto him, to the end he should make peace with him, and deliver them the prisoners. 1Mac 9:71 Which thing he accepted, and did according to his demands, and sware unto him that he would never do him harm all the days of his life. 1Mac 9:72 When therefore he had restored unto him the prisoners that he had taken aforetime out of the land of Judea, he returned and went his way into his own land, neither came he any more into their borders. 1Mac 9:73 Thus the sword ceased from Israel: but Jonathan dwelt at Machmas, and began to govern the people; and he destroyed the ungodly men out of Israel. 1Mac 10:2 Now when king Demetrius heard thereof, he gathered together an exceeding great host, and went forth against him to fight. 1Mac 10:3 Moreover Demetrius sent letters unto Jonathan with loving words, so as he magnified him. 1Mac 10:5 Else he will remember all the evils that we have done against him, and against his brethren and his people. 1Mac 10:6 Wherefore he gave him authority to gather together an host, and to provide weapons, that he might aid him in battle: he commanded also that the hostages that were in the tower should be delivered him. 1Mac 10:8 Who were sore afraid, when they heard that the king had given him authority to gather together an host. 1Mac 10:9 Whereupon they of the tower delivered their hostages unto Jonathan, and he delivered them unto their parents. 1Mac 10:10 This done, Jonathan settled himself in Jerusalem, and began to build and repair the city. 1Mac 10:11 And he commanded the workmen to build the walls and the mount Sion and about with square stones for fortification; and they did so. 1Mac 10:13 Insomuch as every man left his place, and went into his own country. 1Mac 10:14 Only at Bethsura certain of those that had forsaken the law and the commandments remained still: for it was their place of refuge. 1Mac 10:16 He said, Shall we find such another man? now therefore we will make him our friend and confederate. 1Mac 10:19 We have heard of thee, that thou art a man of great power, and meet to be our friend. 1Mac 10:20 Wherefore now this day we ordain thee to be the high priest of thy nation, and to be called the king's friend; (and therewithal he sent him a purple robe and a crown of gold:) and require thee to take our part, and keep friendship with us. 1Mac 10:21 So in the seventh month of the hundred and sixtieth year, at the feast of the tabernacles, Jonathan put on the holy robe, and gathered together forces, and provided much armour. 1Mac 10:23 What have we done, that Alexander hath prevented us in making amity with the Jews to strengthen himself? 1Mac 10:24 I also will write unto them words of encouragement, and promise them dignities and gifts, that I may have their aid. 1Mac 10:26 Whereas ye have kept covenants with us, and continued in our friendship, not joining yourselves with our enemies, we have heard hereof, and are glad. 1Mac 10:28 And will grant you many immunities, and give you rewards. 1Mac 10:30 And from that which appertaineth unto me to receive for the third part or the seed, and the half of the fruit of the trees, I release it from this day forth, so that they shall not be taken of the land of Judea, nor of the three governments which are added thereunto out of the country of Samaria and Galilee, from this day forth for evermore. 1Mac 10:31 Let Jerusalem also be holy and free, with the borders thereof, both from tenths and tributes. 1Mac 10:32 And as for the tower which is at Jerusalem, I yield up authority over it, and give the high priest, that he may set in it such men as he shall choose to keep it. 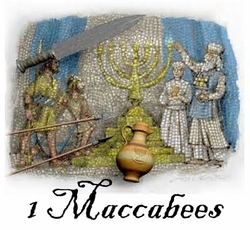 1Mac 10:33 Moreover I freely set at liberty every one of the Jews, that were carried captives out of the land of Judea into any part of my kingdom, and I will that all my officers remit the tributes even of their cattle. 1Mac 10:34 Furthermore I will that all the feasts, and sabbaths, and new moons, and solemn days, and the three days before the feast, and the three days after the feast shall be all of immunity and freedom for all the Jews in my realm. 1Mac 10:35 Also no man shall have authority to meddle with or to molest any of them in any matter. 1Mac 10:36 I will further, that there be enrolled among the king's forces about thirty thousand men of the Jews, unto whom pay shall be given, as belongeth to all king's forces. 1Mac 10:37 And of them some shall be placed in the king's strong holds, of whom also some shall be set over the affairs of the kingdom, which are of trust: and I will that their overseers and governors be of themselves, and that they live after their own laws, even as the king hath commanded in the land of Judea. 1Mac 10:38 And concerning the three governments that are added to Judea from the country of Samaria, let them be joined with Judea, that they may be reckoned to be under one, nor bound to obey other authority than the high priest's. 1Mac 10:39 As for Ptolemais, and the land pertaining thereto, I give it as a free gift to the sanctuary at Jerusalem for the necessary expences of the sanctuary. 1Mac 10:40 Moreover I give every year fifteen thousand shekels of silver out of the king's accounts from the places appertaining. 1Mac 10:41 And all the overplus, which the officers payed not in as in former time, from henceforth shall be given toward the works of the temple. 1Mac 10:42 And beside this, the five thousand shekels of silver, which they took from the uses of the temple out of the accounts year by year, even those things shall be released, because they appertain to the priests that minister. 1Mac 10:43 And whosoever they be that flee unto the temple at Jerusalem, or be within the liberties hereof, being indebted unto the king, or for any other matter, let them be at liberty, and all that they have in my realm. 1Mac 10:44 For the building also and repairing of the works of the sanctuary expences shall be given of the king's accounts. 1Mac 10:45 Yea, and for the building of the walls of Jerusalem, and the fortifying thereof round about, expences shall be given out of the king's accounts, as also for the building of the walls in Judea. 1Mac 10:46 Now when Jonathan and the people heard these words, they gave no credit unto them, nor received them, because they remembered the great evil that he had done in Israel; for he had afflicted them very sore. 1Mac 10:47 But with Alexander they were well pleased, because he was the first that entreated of true peace with them, and they were confederate with him always. 1Mac 10:48 Then gathered king Alexander great forces, and camped over against Demetrius. 1Mac 10:49 And after the two kings had joined battle, Demetrius' host fled: but Alexander followed after him, and prevailed against them. 1Mac 10:50 And he continued the battle very sore until the sun went down: and that day was Demetrius slain. 1Mac 10:54 Now therefore let us make a league of amity together, and give me now thy daughter to wife: and I will be thy son in law, and will give both thee and her as according to thy dignity. 1Mac 10:55 Then Ptolemee the king gave answer, saying, Happy be the day wherein thou didst return into the land of thy fathers, and satest in the throne of their kingdom. 1Mac 10:56 And now will I do to thee, as thou hast written: meet me therefore at Ptolemais, that we may see one another; for I will marry my daughter to thee according to thy desire. 1Mac 10:58 Where king Alexander meeting him, he gave unto him his daughter Cleopatra, and celebrated her marriage at Ptolemais with great glory, as the manner of kings is. 1Mac 10:59 Now king Alexander had written unto Jonathan, that he should come and meet him. 1Mac 10:60 Who thereupon went honourably to Ptolemais, where he met the two kings, and gave them and their friends silver and gold, and many presents, and found favour in their sight. 1Mac 10:61 At that time certain pestilent fellows of Israel, men of a wicked life, assembled themselves against him, to accuse him: but the king would not hear them. 1Mac 10:62 Yea more than that, the king commanded to take off his garments, and clothe him in purple: and they did so. 1Mac 10:63 And he made him sit by himself, and said into his princes, Go with him into the midst of the city, and make proclamation, that no man complain against him of any matter, and that no man trouble him for any manner of cause. 1Mac 10:64 Now when his accusers saw that he was honored according to the proclamation, and clothed in purple, they fled all away. 1Mac 10:65 So the king honoured him, and wrote him among his chief friends, and made him a duke, and partaker of his dominion. 1Mac 10:66 Afterward Jonathan returned to Jerusalem with peace and gladness. 1Mac 10:68 Whereof when king Alexander heard tell, he was right sorry, and returned into Antioch. 1Mac 10:70 Thou alone liftest up thyself against us, and I am laughed to scorn for thy sake, and reproached: and why dost thou vaunt thy power against us in the mountains? 1Mac 10:71 Now therefore, if thou trustest in thine own strength, come down to us into the plain field, and there let us try the matter together: for with me is the power of the cities. 1Mac 10:72 Ask and learn who I am, and the rest that take our part, and they shall tell thee that thy foot is not able to to flight in their own land. 1Mac 10:73 Wherefore now thou shalt not be able to abide the horsemen and so great a power in the plain, where is neither stone nor flint, nor place to flee unto. 1Mac 10:74 So when Jonathan heard these words of Apollonius, he was moved in his mind, and choosing ten thousand men he went out of Jerusalem, where Simon his brother met him for to help him. 1Mac 10:75 And he pitched his tents against Joppa: but; they of Joppa shut him out of the city, because Apollonius had a garrison there. 1Mac 10:76 Then Jonathan laid siege unto it: whereupon they of the city let him in for fear: and so Jonathan won Joppa. 1Mac 10:77 Whereof when Apollonius heard, he took three thousand horsemen, with a great host of footmen, and went to Azotus as one that journeyed, and therewithal drew him forth into the plain. because he had a great number of horsemen, in whom he put his trust. 1Mac 10:78 Then Jonathan followed after him to Azotus, where the armies joined battle. 1Mac 10:79 Now Apollonius had left a thousand horsemen in ambush. 1Mac 10:80 And Jonathan knew that there was an ambushment behind him; for they had compassed in his host, and cast darts at the people, from morning till evening. 1Mac 10:81 But the people stood still, as Jonathan had commanded them: and so the enemies' horses were tired. 1Mac 10:82 Then brought Simon forth his host, and set them against the footmen, (for the horsemen were spent) who were discomfited by him, and fled. 1Mac 10:83 The horsemen also, being scattered in the field, fled to Azotus, and went into Bethdagon, their idol's temple, for safety. 1Mac 10:84 But Jonathan set fire on Azotus, and the cities round about it, and took their spoils; and the temple of Dagon, with them that were fled into it, he burned with fire. 1Mac 10:85 Thus there were burned and slain with the sword well nigh eight thousand men. 1Mac 10:86 And from thence Jonathan removed his host, and camped against Ascalon, where the men of the city came forth, and met him with great pomp. 1Mac 10:87 After this returned Jonathan and his host unto Jerusalem, having any spoils. 1Mac 10:88 Now when king ALexander heard these things, he honoured Jonathan yet more. 1Mac 10:89 And sent him a buckle of gold, as the use is to be given to such as are of the king's blood: he gave him also Accaron with the borders thereof in possession.